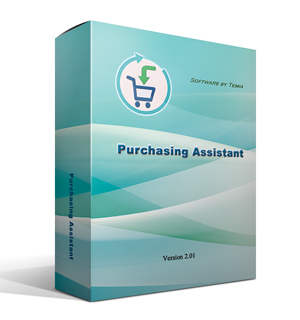 The program "Purchasing Assistant" is designed for automation of the accounting of your procurements. You may use the software for both your enterprise and personally. It is of special interest for those who often make purchases, has many different purchase items and works with a large number of suppliers. 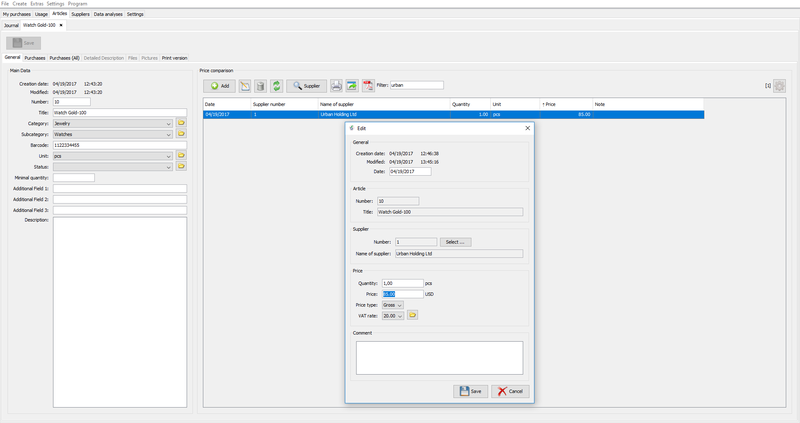 In the software, you can easily add purchases. Each purchase has such fields as: status, order channel, type, etc. A purchase contains detailed information about the supplier and the supplier’s contact person, as well as much additional information, such as, for example, the method of payment, type of delivery, discount. 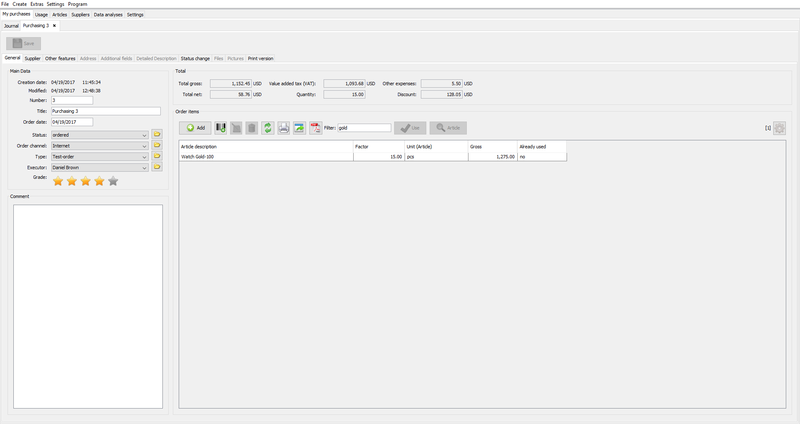 When adding order items, the price of an item will be automatically saved in the prices catalogue of the selected supplier. The software provides flexible comparison of prices of different suppliers. The prices of suppliers can be saved in the prices catalogue directly, omitting purchases, and may be deleted or changed at any time. The software can store detailed information about items. Items are divided into categories and sub-categories. For any selected item you can see all purchases in which it is present, all suppliers and their prices. 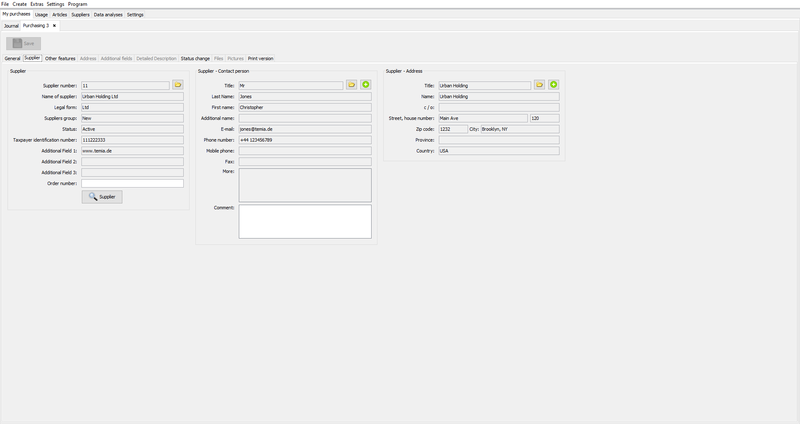 You can enter detailed information about suppliers, their addresses, and contact persons into the software. You can add methods of delivery and payment offered by a supplier, as well as available discounts. 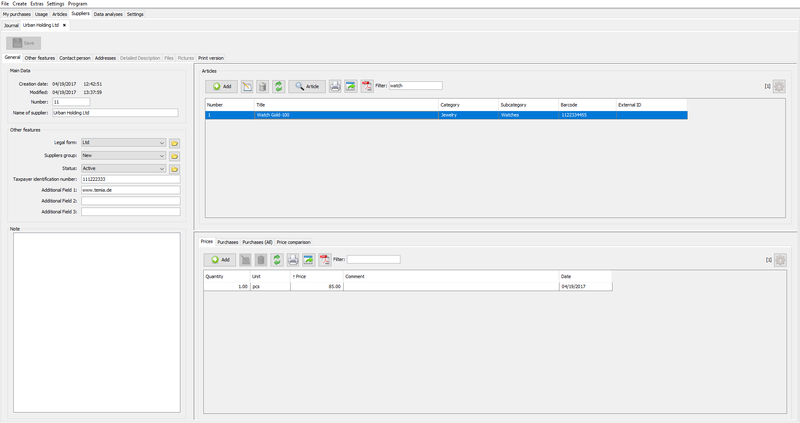 The system allows adding documents. 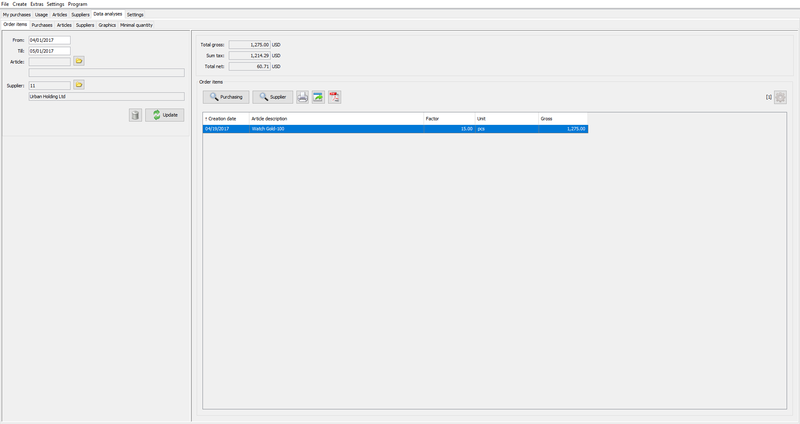 The files are supported in any format and can be added into the software using the Drag And Drop function. The information about a supplier (the same as about items) can be added directly when creating an order. The software allows tracking the use of purchased items, so that when making a repeated purchase you can take into account the quality of purchased items. In the "Already Used" tab, the names of usage are shown. To each usage, the purchased items from order may be added. When selecting a usage, relevant items are shown with a rating (from 1 to 5) and a comment. The "Not Used" tab shows all the items for which the usage hasn’t been set yet. The software allows looking through detailed statistics of all your orders for any given period of time. Herewith, it is possible to apply a search filter using any criterion. In such a way, it is possible to make a detailed analysis of all purchased and ordered goods from a certain supplier, with stating the total amount of all money spent. Also, a graph is available in the software which can represent the changes in the numbers of your purchases, items, suppliers and order items over a desired period of time. The software has a built-in function of import of purchases, items, suppliers from a CSV format file. Also, the data backup function is available. All the software’s tables may be easily adjusted for specific needs of the users. All logs, lists, tables and graphs can be printed, exported to a CSV format file and saved as PDF.